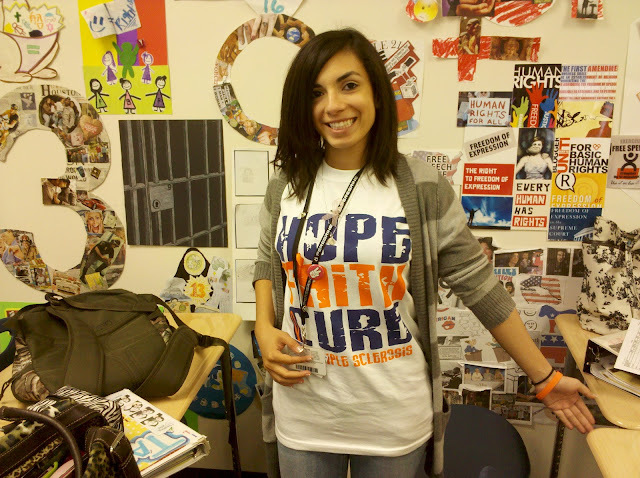 T-Shirt says: "Hope Faith Cure" Multiple Sclerosis, as modeled by an awesome AVID tutor. They are selling the T-Shirts at lunch. Mr. Campbell is always looking for assistants to help him sell as well. See him during your lunch period if you'd like to help. Cost of the T-shirts are $10. 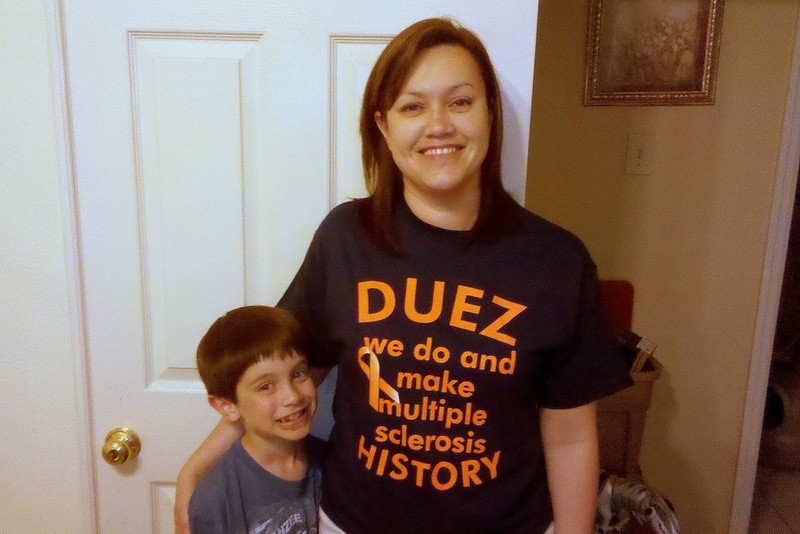 The orange bracelet/band is $5.